While most of us can read and write, we tend to take this aspect of "human rights" for granted. It is still an undiscovered place for many, therefore it is still a journey to be completed. Literacy is not limited to reading, writing, and numeracy skills anymore but is now seen as a process of lifelong development to achieve dignity and a decent livelihood. On September 8th, 2018 the globe commemorates the 52nd International Literacy Day. It was first declared and observed by United Nations Educational, Scientific and Cultural Organization (UNESCO) in 1966. "Literacy is at the heart of Sustainable Development." Currently, 750 million adults around the world cannot read and write, out of which 2/3 are women, leading to the state of unemployment of 192 million people. Quality Education is one of the 17 Sustainable Development Goals of the UN (United Nations), and is included in its 2030 Agenda for Sustainable Development. This year, the theme for World Literacy Day is 'Literacy and Skill Development' in the view of connecting education and work. According to the theme, the skills refer to literacy, technical, vocational, and digital knowledge and competencies that are required for employment and career development. This is especially focused on the youth, women, low-skilled workers, and rural people. Literacy has been proved to have both direct and indirect influence over other global issues like poverty, unemployment, family planning, eradication of child labor, access to multiple opportunities for rural areas and upliftment, and recognition of socially ignored communities. Gender disparity seems to be the concern on a cosmic level. In fact, UNESCO focuses on this aspect from a greater point of view as well. India has done substantial amounts of work in this area of encouraging literacy to improve the socio-economic status of many. Today, it is known for the countless number of educational institutions in the world, having many international scholars seek education here. The nation has taken up various schemes and projects, with the help of state governments and other non-governmental organizations (NGO's). So far significant changes in the levels of literacy have been achieved through midday meals schemes, provision of free study materials, incentives to students and teachers, promoting the importance of menstrual hygiene among adolescent girls and young women, and conducting adult literacy programs and night schools. India still houses about 35% of the world's illiterates. At the International Literacy Day celebration, UNESCO presents the 'UNESCO Confucius Prize for Literacy' and the 'UNESCO King Sejong Literacy Prize' in recognition of the governments, organizations, and institutions that have made exceptional efforts in building the power of literacy among illiterates. India was one of the winners of both the prizes twice each. In 2016, the Jan Shikshan Sansthan Organization from Malappuram, India, won the 'UNESCO Confucius Prize for Literacy' Program for its ‘Vocational and Skill Development for Sustainable Development’, which is very much relevant to this year's theme. The organization provides vocational training in a variety of local industries, including teaching on topics of health, sanitation, entrepreneurship, financial literacy, legal literacy, etc. In 2013, the National Literacy Mission Authority, Ministry of Human Resource Development (India) won the 'UNESCO King Sejong Literacy Prize' for its Saakshar Bharat (Literate India) Mission that worked at aiding women’s literacy. The Nirantar Women’s Organization (India) secured the 'UNESCO King Sejong Literacy Prize' in 2009 for its “Khabar Lahariya” Project, a newspaper run by Indian village women. The 'UNESCO Confucius Prizes for Literacy' was given to the Directorate of Literacy and Continuing Education of Rajasthan in 2006 for its 'Useful Learning through Literacy and Continuing Education Program'. They help promote gender equality and improve women’s empowerment by conducting programs on the subjects of vaccination, sanitation, child care, family planning, environmental issues, and self-help. 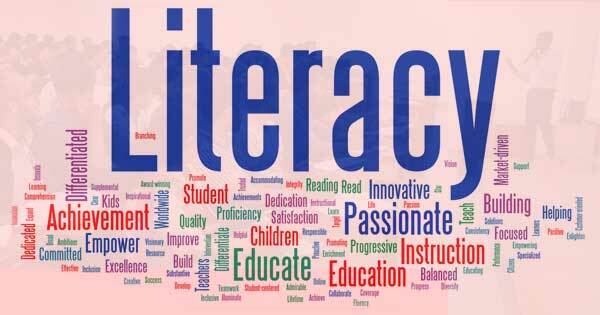 While there are many who have dedicated to bringing the light of literacy, thereby leading to education, it is still a burden for the literate to add many more to that category. If we can read this, let’s make an effort to help another do the same.